A new book edited by biology professor William Etges takes the mating game to the genetic level. 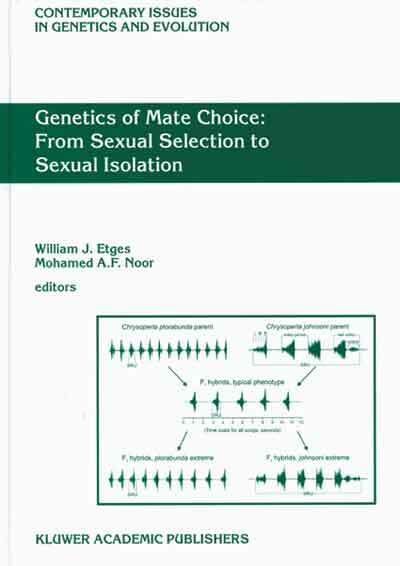 Etges and Mohamed A.F.oor of Louisiana State University have co-edited a book addressing topics including hybrid infertility, sexual signaling, reproductive isolation, speciation, inheritance and mate choice — all from the standpoint of genetics. The book examines genetic issues in the mating characteristics of guppies, domesticated birds, lacewings, butterflies and fruit flies. Until recently, studies of species formation focused on complex behavior in mating and sexual selection. Mammals, birds, insects and reptiles all have novel — and sometimes multiple — ways of attracting mates: singing, dancing, displaying their colors or sporting big horns. But little is known about the genetic basis of mating and courtship rituals, and how this relates to the formation of species. The book presents an overview of current genetic research as it relates to mating behavior. The research addresses the genetic evolution of cues that form the basis of courtship. Researchers have studied mating and courtship behavior in many animals. They also have genetic information on many of these creatures. But rarely have the two been paired together.